Dragon Orchard is a small traditional fruit farm that has been tended by the Stanier family for nearly 90 years. 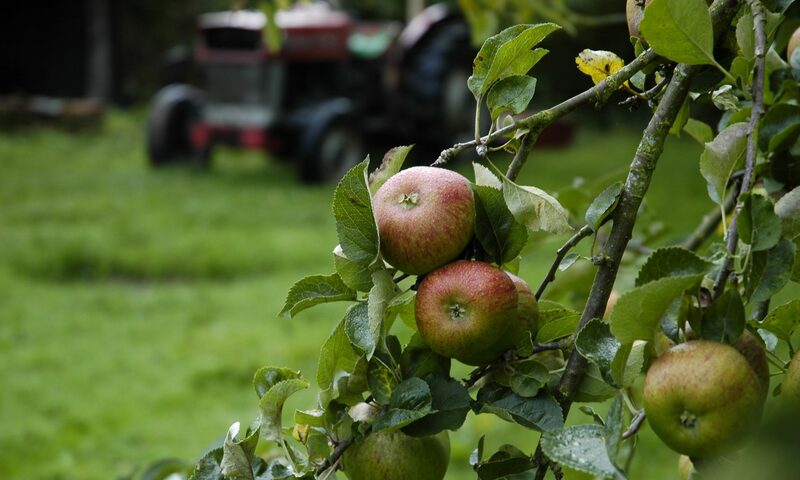 The 22 acre orchard is set in the south eastern corner of the rolling Herefordshire countryside, near Ledbury, close to the Malvern Hills. We returned to the family fruit farm in 1993 to take over the running of the orchard from Norman’s parents. Whilst the growing practices have remained much the same, the markets for the fruit have changed hugely due to the dominance of supermarkets and imported fruit from around the world. Dragon Orchard has been innovative in championing local food and over the past few years has helped bridge the gap between producers and consumers with its Cropsharers and Sponsor A Tree scheme.